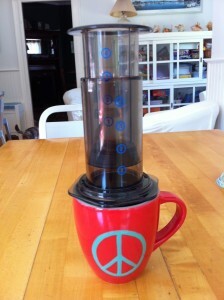 The AeroPress coffee maker consists of three key components: 1) a brewing chamber, 2) plunger and 3) filter bed. 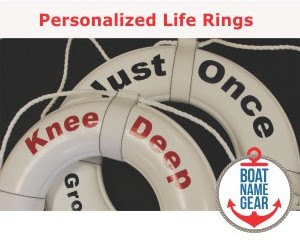 These are all made from FDA approved plastic that is lightweight yet rugged enough for life aboard a boat. 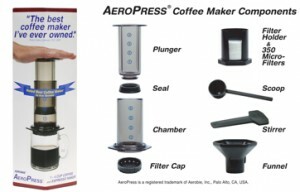 The AeroPress also includes a loading funnel for the water, a coffee scoop, a paddle for stirring, as well as micro filters and a convenient holder for the filters. Stir the grounds with the paddle. 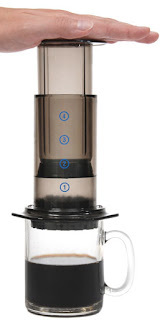 Finally, the AeroPress is priced at around $30 making it one of the lowest priced items on your boat! 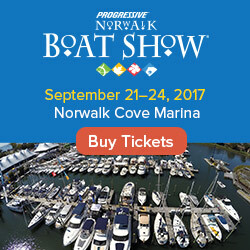 If you are a coffee loving boater (or know one!) 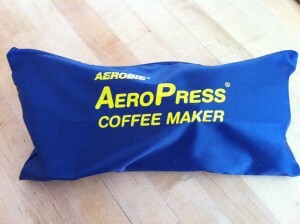 you should definitely check out the AeroPress. Sounds good. I'm always looking for a better tasting coffee & I have a press that does a good job. With this one I'm concerned about placing it on top of a cup & pressing down. Looks like a Burning disaster waiting to happen, especially at sea.